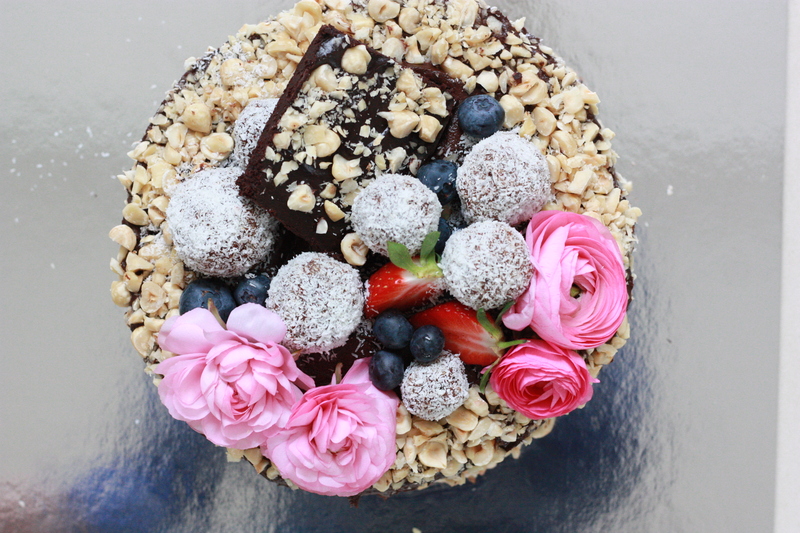 Recipe for the yummiest healthiest vegan choc cake with raw avocado ganache is below. Just double the measurements for a 4 layer cake or keep as it is for a double layer. For literally years I searched for the best chocolate cake recipe that was vegan, refined sugar free, gluten free, and actually healthy for babies. I eventually lost hope in finding a recipe and made up my own. Mix all dry ingredients and add in wet ingredients and mix well. Spoon into 2 x 20 cm sandwich tins lined and greased with olive oil. Bake at 160 degrees Celsius for 40 minutes. Test with a skewer. 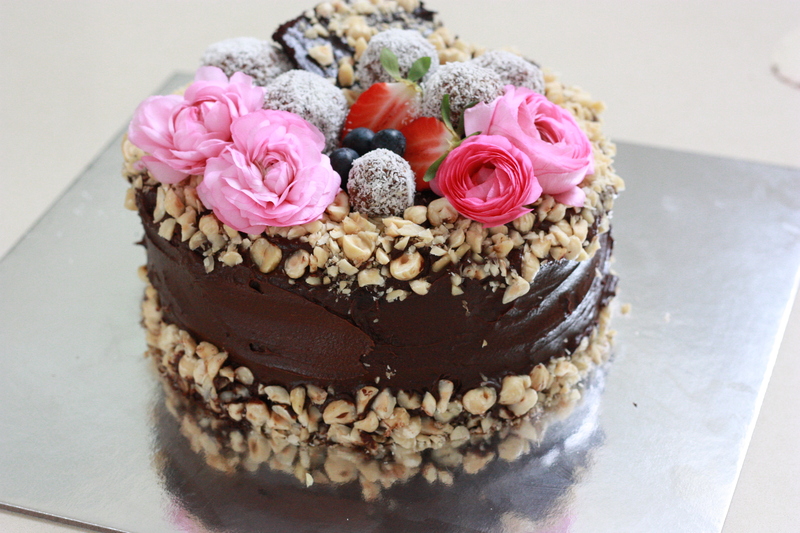 Allow the cakes to cool in their tins before carefully removing and assembling with the ganache. Repeat the process if making the 4 layer cake. Blend all ingredients until smooth. Place in the fridge for 5 minutes to firm up a little. Sandwich between cake layers, and over the top and sides of the cake.